In an exciting sport such as boxing, where a fighter tests his own strength, speed, stamina and will to win against his opponent, oftentimes, bouts are defined by a thrilling knockout or a scintillating showcase of skills and flair in the ring. With its rich history of fighters and legends, there is a treasure trove of boxing matches archived by big sports networks and boxing promoters. It is with these materials that people can comb through many exciting matches from the earliest recorded fights up to the most recent matches. Boxersâ€™ different fighting styles also adds up to the beauty of the sport, where they pit their own game strategy, while being on guard for what the opponentâ€™s own style will bring to the match. Boxing videos help fans relive boxingâ€™s greatest moments. For instance, the younger generation who were not able to catch the historic fight between Muhammad Ali and Joe Frazier, known as â€œThe Thrilla in Manilaâ€ can watch it through archives. It was held in 1975 between two of the biggest names in boxing then, and was the last bout in a trilogy between the two stars. Their rivalry began with their first encounter in 1971 at the Madison Square Garden in New York City. Muhammad Ali was undefeated at the time of their bout, and it was Frazier who handed him his first loss that night via a unanimous decision, with the match spanning over 15 rounds. With boxingâ€™s rich history, fans can witness how one of boxingâ€™s storied rivalries took place, between Ali and Frazier. Who can forget the Mike Tyson and Evander Holyfield bout in 1997 wherein Tyson chewed off a part of Holyfieldâ€™s ear during the fight? The infamous move has made it one of the most bizarre fights in boxing history. Thankfully, fans can always playback and rewind to the fight with archives found online, where they can capture past events and rewind to that fateful night that Tyson bit off more than he could chew. With Manny Pacquiaoâ€™s many boxing classics, from his epic trilogies with Mexican superstars Erik Morales and Juan Manuel Marquez, to his conquest of larger opponents like Oscar de la Hoya, Miguel Cotto and Antonio Margarito, and his one-knockout punch that put British star Ricky Hatton to sleep, itâ€™s a good way through boxing archives to watch these matches again and again, seeing every beautiful move and witnessing the beauty of Pacquiaoâ€™s footwork and hand speed in play. For most boxing aficionados, boxing videos also allows them to scrutinize controversial matches and analyze for themselves where judges may have made scoring errors. Not only do boxing videos bring entertainment, it helps viewers see the matches from different perspectives. With an available archive online, fans have the luxury of choosing and selecting from an array of boxing classics, given the long list of legends that the sport has produced over the years. 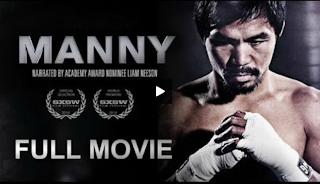 Many websites nowadays can also provide these footages and materials, and makes it easier than ever to relive boxingâ€™s greatest moments.